The story: Government agent Amanda Waller develops a secret government program to recruit dangerous criminals and put them to work fighting even more worrying threats, the idea being these high-risk missions are ideal for assets no one will miss, should they die. Unfortunately, one of her first recruits, an ancient being called Enchantress, goes rogue and teams up with her equally ancient brother to destroy the world. Waller assembles a team from Belle Reve prison to infiltrate Midway City, whose citizens have been turned into monsters by the bewitching duo, and take them out. 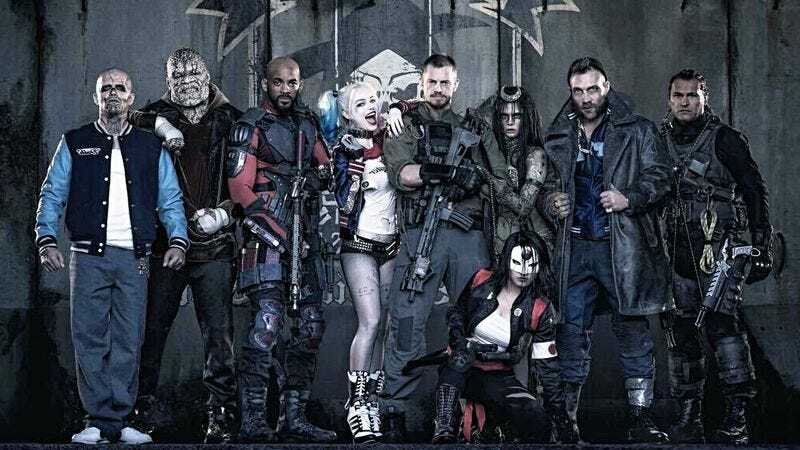 Led by Col. Rick Flag, the group slowly makes its way toward the building containing the sorcerers, and despite a brief (and ill-fated) rescue attempt of team member Harley Quinn by her boyfriend, The Joker, the group finally manages to save the day. They each earn small rewards and 10 years off their sentences in exchange for their service—the ones who survived, anyway—and by film’s end, The Joker has returned, this time to properly free his sweetheart from prison. Noteworthy events: The first appearance of all these characters, save for Batman. Slipknot dies early on, and El Diablo is killed during the climactic fight. A mid-credits scene shows Bruce Wayne cutting a deal with Amanda Waller in order to gain access to the government’s files on the metahuman population.